Here’s a fun story. If you go to the Nokia accessories page you’ll see it seems to offer a good lineup of cases that include minimalist clear cases and Nokia-brand heavy duty cases. The problem is none of those cases appear to be available to buy anywhere. It’s weird and means that most Nokia phone owners will have to rely on third-party case makers to protect their Nokia 3.1. Among those third-party offerings, these are your best options. 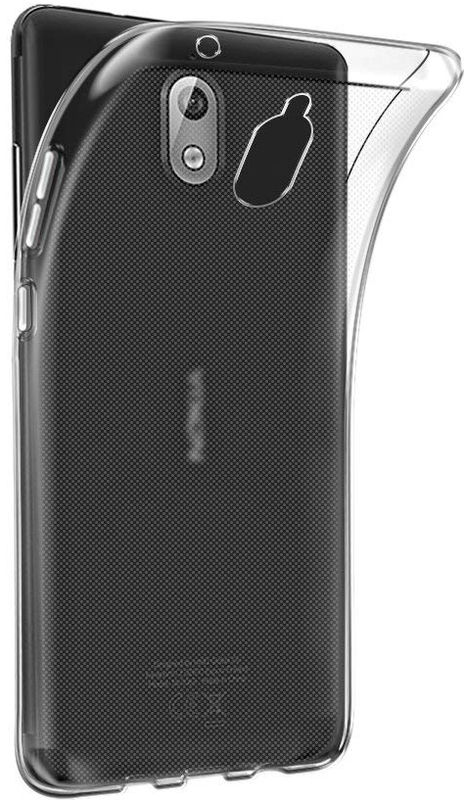 This is my personal favorite case style because it’s a sleek one-piece case with nice carbon fiber accents at the top and bottom that help with grip. Available in five color options, this case is made from flexible TPU for easy installation and protection against drops. 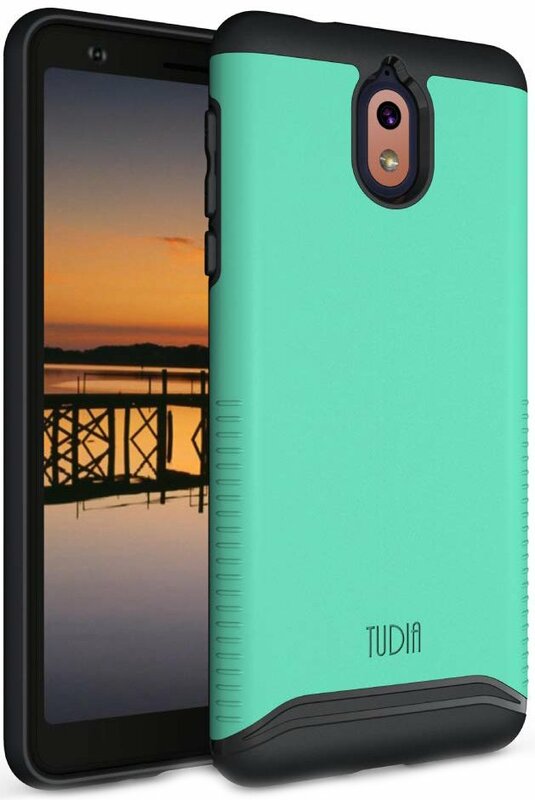 TUDIA’s dual-layer case combines a shock-absorbing TPU sleeve with a rigid PC shell, while raised edges help to protect the screen and camera and clicky button covers preserve the feel of the phone. This reliable and rugged case comes in four colors. AVIDET offers one of the few clear cases available for the Nokia 3.1, if you want protection that won’t hide the Nokia behind bland bulk. The dot pattern on the inside helps prevent smudges and condensation from building up and causing rainbowy splotches. If you or someone you know is notorious for dropping and breaking phones, you should probably get this case. Not only is it designed to provide outstanding protection and grip, but it’s also got a built-in kickstand, for emergency YouTube cat video binges. A folio-style wallet case is a great option if you want to keep your phone protected and minimize pocket/purse contents. There’s room for a couple cards, a pocket for storing cash, and a magnetic closure to keep things closed. Choose between six shiny colors. This is the case for those who want to protect their phone from scratches and scuffs but don’t want to add bulk to their Nokia 3.1. This case is made of soft-touch, matte-finished polycarbonate in one of five colors that lets you simply snap on the case to the phone. I’m seriously still confused as to why Nokia pretends to offer cases for all of its phones when said cases just don’t seem to be available for sale anywhere. Either way, your best bets are probably the Dretal Carbon Fiber or the heavy duty TUDIA Merge Series for your Nokia 3.1. Peugeot is coming back. Where has it been?